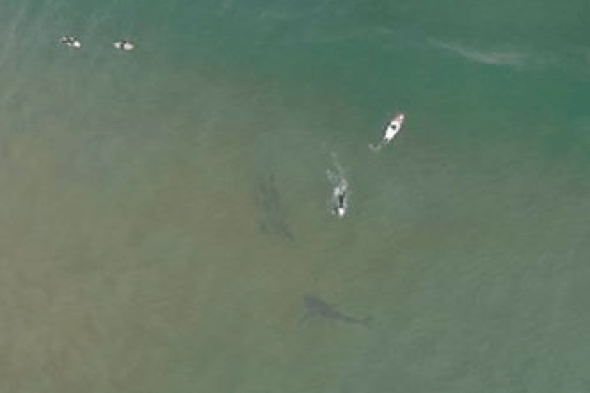 A terrifying picture of a large great white shark swimming right next to surfers in Australia has emerged online. The picture was taken by drone pilot Tom Caska on the Central Coast at Killcare on 17 September. According to The Herald, the surfers were on three-metre-long boards, which gives an indication of the shark‘s size.